ATLANTA, July 23, 2018 – Main draw play started on Monday morning at Atlantic Station for the 2018 BB&T Atlanta Open as both singles and doubles matches were on the slate for a big day of tennis. Exciting singles matches to start out a Monday as ATP World Tour, No. 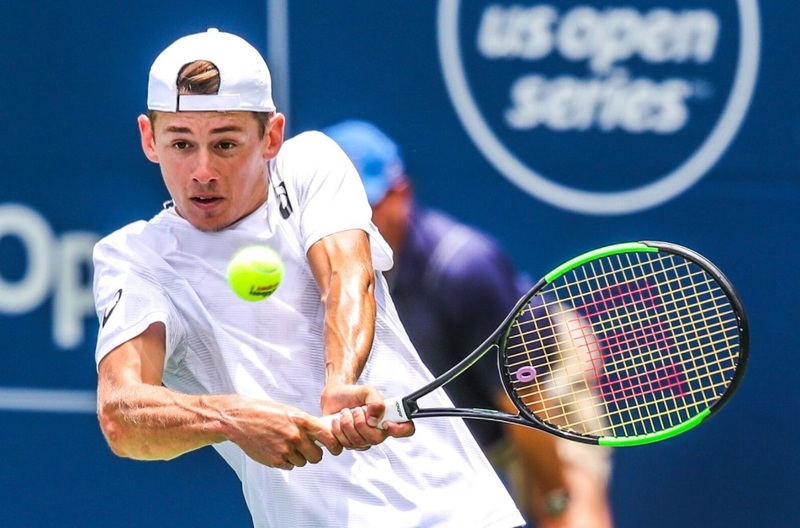 68 ranked, Alex de Minaur from Australia earned a gut wrenching come-back to win against Hubert Hurkacz from Poland to open main draw play on Stadium. de Minaur will go on to play John Isner in the second round. Hubert dominated the first set with a strong serve and great ball placement. He broke de Minaur’s serve with a backhand down the line and claimed the first set, 6-1. Knowing that the second set could either make or break his chances, de Minaur found his rhythm and became more aggressive. de Minaur jumped out to a quick lead and then held on to force a deciding set. Just when the crowd thought this match could not get any better, they were able to witness great serving and yet another tiebreaker. Both players had their hearts set on winning this match. Credit the composure of de Minaur as he managed to keep himself together win the big points in the tiebreaker to claim the victory. In other singles matches, Lukas Lacko of Slovakia breezed past Prajnesh Gunneswaran, 6-2, 6-2. The night match between Donald Young and Ivo Karlovic was delayed by rain and will pick back up on Tuesday. The main draws of singles and doubles were released on Saturday. Four-time BB&T Atlanta Open singles champion, John Isner is the top seed. Isner is a former University of Georgia All-American and NCAA National Champion. He is currently ranked No. 8 in the world by the ATP World Tour after reaching the semifinals at Wimbledon. 2016 BB&T Atlanta Open champ, Nick Kyrgios of Australia is the No. 2 seed. Other seeded players include: Hyeon Chung of Korea, Matthew Ebden of Australia, Americans, Frances Tiafoe and Ryan Harrison, along with Jeremy Chardy of France and Mischa Zverev of Germany. Main draw singles and doubles play continues Tuesday.